This is a limited 1-day only sale that will expire tonight at midnight (Wednesday, October 20, 2010). Click here to buy now or for more information about the deal. Don’t miss out! Limit 1 per person, may buy 3 additional as gifts. Registration required; subject to availability. Groupon is non-transferable. Not valid with other offers. While chanting around a fire in the hills of Northern Italy fosters friendship and spontaneous spaghetti combustion, a more active approach is required to achieve the rumoured effects of boot camp. Seek out svelteness instead of shoe shapes with today’s Groupon for one month of unlimited boot camp at New Body Health and Wellness, located on Jasper Avenue. New Body Health and Wellness’s boot camp provides motivation, support, and an encouraging environment for the shrinking of lipid shields through customized cardio exercises and a magic wand. Customers can enjoy free parking a shower facilities in building, and outdoor classes when weather allows. Classes take place Monday through Friday. Click here to buy now or for more information about this deal. Don’t miss out! These deals are only valid on Wednesday, October 20, 2010. It’s a 1-day only sale. It is limited to stock on-hand and it is not valid on previous purchases and there are no rain checks. There’s a limit of 1 per customer. Future Shop will be featuring a new “Deal of the Day” every day from October 15-24, 2010. Check back on a daily basis for the latest. The Deals are available in-store and online. 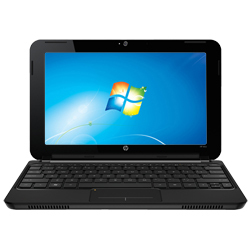 Today’s Future Shop Deal of the Day has the HP Mini 10.1″ Intel Atom Processor N450 Netbook (110-3000CA) on sale for only $239.99. This is a savings of $70. – With a sleek design that’s less than 1″ thick and 2.7 lbs, this netbook is ultraportable and suits anyone on the move. – Transfer data to and from your portable digital devices with the 2-in-1 memory card reader. – 10.1” backlit display gives you a brilliant view of your content. Click here to buy the Deal of the Day or for more information. Visit your local RW&CO store and get an extra 25% Off Sale merchandise. This deal applies to all sale items with price tags ending in $.95. This is a limited time only. See in-store for details. This is a pretty good deal considering it’s already on reduced items! Click here to visit RW&CO’s website. Discover this week’s Air Canada webSaver deals for flights within Canada, to the U.S. and to popular Sun and International destinations. When you fly with us, great fares are only the beginning. Add to that personal touch-screen TVs at every seat*, power outlets within easy reach, and fully flat beds in our international Executive First® Suites. We also fly to more places in Canada and around the world than any other Canadian airline. Just a few of the reasons we were ranked ‘Best Airline North America’ in a worldwide Skytrax survey of more than 17 million air travellers. Book now. 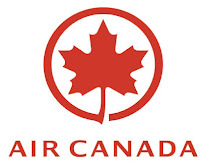 Click here to view Air Canada fares from Edmonton or to book a flight. This is a limited 1-day only sale that will expire tonight at midnight (Tuesday, October 19, 2010). Click here to buy now or for more information about the deal. Don’t miss out! Limit 1 per person, may buy 1 additional as a gift. Limit 1 per table. Dine-in or pick-up only. No cash back. Tax and gratuity not included. Not valid with other offers. 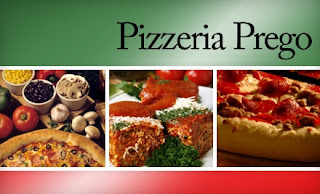 Pizzeria Prego impresses discerning pie connoisseurs with 40 saucy pizza varieties. An array of classical, natural, gourmet, and gluten-free pizzas are available. Exercise incisors with a chomp into the natural Spinochio ($18.49 for a 12″ medium), an inspired pie decorated in spinach, feta cheese, and mushrooms, or attempt the Spudizza ($17.49 for a 12″), where a slathering of garlic parsley butter holds the foundation for seasoned mashed potatoes, cheddar cheese, and real bacon bits. The Neptune Alfredo ($21.49 for 12″) selectively invites mushroom, broccoli, cheese, and ocean shrimp to an alfredo-sauce pool party, and classics such as pepperoni and cheese ($15.49 for 12″), and the cheese, bacon, and tomato montage ($18.49 for 12″) keep tradition alive. Other items include lasagna and meat sauce ($9.99), spinach salad ($8.99), and cheese toast ($2.99 for two slices). The neon-lit storefront sign stands as a beacon of good taste, inviting patrons in to experience what fresh, wholesome ingredients it has to offer. The skilled and personable staff takes pride in the quality and taste of their product and can aid customers in the selection of a pie. Sportchek Footwear and Apparel Buy One, Get One 50% Off sale is back! If you’ve been waiting for a good deal on some new runners, this is it. Click here to visit Sportschek website for more information about this deal. Today’s Future Shop Deal of the Day has the TomTom XL 4.3″ GPS Bundle (330S) on sale for only $99.99. This is a savings of $70. -Includes a wide selection of maps of the US and Canada and turn-by-turn spoken directions to enable you to always find your way. -Advanced safety features provide instant access to local emergency services, no matter where you are. -Includes a large 4.3″ touchscreen display, a 3-hour battery life and a car charger. 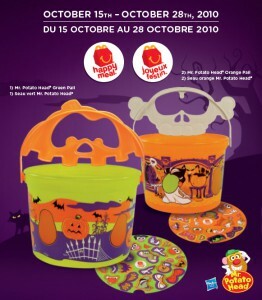 From October 15-28, 2010, get a Free Halloween themed Pail with a purchase of a Happy Meal. The Pails feature Mr. Potato Head and come with cool stickers for decoration. Visit your local McDonald’s restaurants to take advantage of this deal.